Paul Fenster is a senior patent attorney and litigation consultant at Ehrlich & Fenster Patent & Trademark Attorneys. He brings to the firm a unique combination of high-level industrial R&D experience, preparation and prosecution of patent applications and substantial litigation experience. 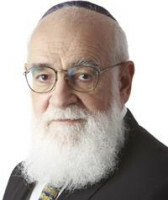 Dr Fenster was a full-time professor of electrical engineering at the City College of New York for five years, and has taught courses at Tel Aviv University, the Technion Institute of Technology in Haifa, the Weizmann Institute of Science and was also a visiting professor of physics in medicine at Cornell University Medical School. Dr Fenster performed R&D and consulted in the fields of microwave tubes while working for Varian Associates and Elta Electronics Industries, Ltd. During that time, he spent three years as the general manager of the microwave tube plant at Elta. He performed research in high-power short-pulse generation and measurement at Sperry Rand Research Centre. He was manager of R&D at ECI Telecom and later founded and headed the Microelectronics Technology Centre at Tadiran. Dr Fenster holds a BEE and PhD in electrophysics and is a specialist in engineering, electronics, physics and mechanics. His broad and outstanding R&D background, academic qualifications and his experience as an inventor – he has issued 29 US patents – have made him a revolutionist and instrumental in changing how patents are written in Israel. Dr Fenster pioneered invention analysis and working with inventors to identify what the essence of an invention is and where an invention might go. This type of analysis, together with the ‘homework’ of the inventor and the uncompromising quality standards, increases the chance that the patent will be relevant when granted.